Heather Lindsey: "I Think I Married the Wrong Man"
Just to quickly clear this up, I definitely didn't marry the wrong man. I am married to an awesome man by the name of Cornelius and he truly loves me like Christ loves the church. He's not PERFECT by any means. but he is sure working on being a better man DAILY as I am too. He's an amazing leader, husband, father & all that other good stuff. He really considers our family and puts us first after God. But, have I ever thought that I married the wrong person? Um. yes. How many times? Maybe 40-50 times in our 4 years of being married. Especially during our first year of marriage. I thought, Oh, God! I wish I would have married someone that was more like this or that, which was a lie because everybody has an issue so if it's not that issue, it's something else. Let me just give you some background- as most of you know, we waited to kiss until our wedding day. So, you would think that BECAUSE we waited that things would be strawberries and flowers everyday afterwards-- psh, please. I realized even more that first year how IMPORTANT it is to marry a man that really loves Jesus because your marriage is going to get hit with attacks and if you don't have that solid foundation, your marriage may not make it. I seriously believe the ONLY reason that we are married to this day is because of the cross. If Jesus came and died for our sins and gave us an opportunity to be in the right relationship with Jesus-- can we not take on that same example and die to ourselves in our marriage? Our first year was a rough year. I honestly didn't think we would make it. No, we didn't cheat on each other or anything crazy but we sure went through IT and back. While courting, my husband worked full time at a "megachurch" and he pretty much was the chief of staff. He ran multiple departments, we had a "special" parking spot at church and had a "reserved" front row seat of a 10,000 seat church. He made great money, had a house, car and purpose. I didn't marry him for those reasons-- I married him because I believed in him, respected him, loved him and because the Lord told me to marry him. I knew that we would eventually leave and start our own ministry, I just didn't know it would be so soon. Three months into our marriage, my husband got extremely quiet. For about 2 weeks, he didn't say much of anything to me and it was SO hard! I quickly learned that when he gets really quiet for periods of time, it's because the Lord is dealing with him about something and it's not me (that was a huge struggle, because I didn't want him to be mad at me!). So, by week two-- I got the memo. Then, he came to me and told me that the Lord wanted him to quit his job and to move to Mississippi. Huh? Wait, huh? "Well, babe-- I support you. 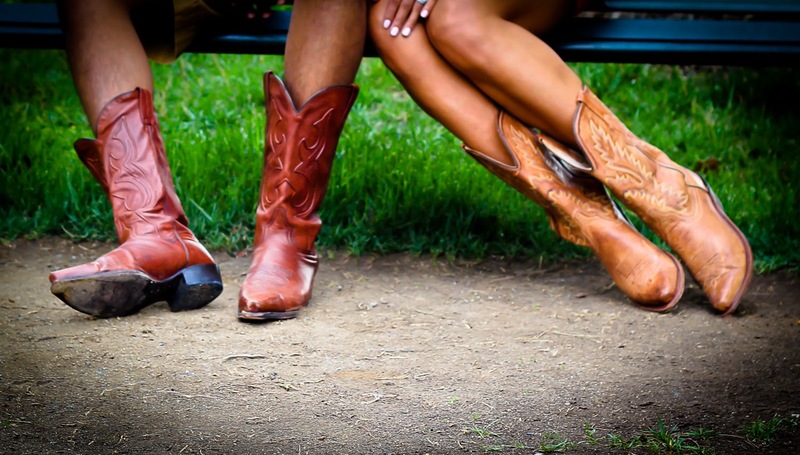 I am excited and I will go find me a pair of cowboy boots and enjoy Mississippi." You see, Cornelius could have told me that we were moving to Alaska and I would have been online looking up snowsuits. I simply believed in my husband and that He is constantly led by the Lord. So, leaving "everything" wasn't the hard part. The hard part was when we actually GOT to Mississippi. No church. No friends. Our old "pretend" friends were talking about us for leaving the church & saying that we missed God. Still trying to figure out how to leave your past, family and whatever else and become "one flesh." It was plain hard. We would get into huge fights because it was just him and I in this tiny 1-bedroom apartment and we weren't used to being together 24-7. I was working from home for a Software Hedge Accounting firm and he would pray and study 7-9 hours a day. It was a huge difference from our life before because our finances really became ONE. Then, we got pregnant. I cried because I didn't want to get pregnant (which was so selfish, but I came from the New York mindset of career first) and Cornelius was super excited. Then, 6 weeks later we miscarried. Then, my step dad suddenly passed away. (My father passed in 2000) Then, my nephew committed suicide, then, my friend suddenly had a brain aneurysm and died. All of these things hits me like a brick. Then, we had to cut back on everything because we were living on one salary so we would argue about money. All of this happened within 6 months of being married. I still didn't really trust him because I was crazy and had been lied to and cheated on by so many guys in my past, I felt like I had to keep tabs on him. He felt the same way and couldn't trust me either. We BOTH didn't do anything to make the other feel this way.. it was just an attack from our old mindset. We were both a TRAIN WRECK to say the least. After one huge argument, we both screamed at each other, "I WANT A DIVORCE!!!" Did I marry the wrong one Lord? Show me God! 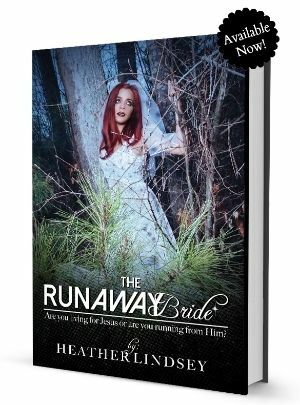 "No Heather, you didn't "marry the wrong one. Through this marriage, I will teach you what it means to love the way that I love-- and that is unconditionally. I will use Cornelius to show you your true self so that you can repent of your sin and truly be made in my image. And did you know that I created Cornelius and I can give you the insight on him? On how to deal wisely with him and how to win him over? I created him." God, YOU know Cornelius. I'm over here trying to figure out this man.. and you can show me how to have a peaceful marriage. At WHAT point did I pick up my life Lord? Oh Gosh, I'm so sorry. I repent. Teach me how to be a woman after your own heart in every single way. How foolish can you be? After starting your Christian lives in the Spirit, why are you now trying to become perfect by your own human effort? I had picked up my own life at some point and then I started to see the fruit of it. I was operating as a wife in my own human effort and ability and constantly came up short in submission, in loving him, in respecting him and a peaceful marriage. I nagged him, tried to control what he ate, how he dressed and just about everything. What's crazy is this:: I contemplated, "God, did I marry the wrong one?" AS I NAGGED the mess out of my husband. Isn't it ironic how we focus on what the other person "should" be doing while we totally reject and ignore our portion? Even in my selfish prayers of "asking my husband" to change-- God began to really deal with my heart. And, finally I let Him. He began to show me where I was wrong and that he reveals weaknesses in my husband-- not for me to bash him, but for me to pray for him. Did you know that when you PRAY for your husband, you're actually praying for yourself? You are one flesh! How beautiful is this? So, I started to bind some things up & I went before the Lord about BOTH of our weaknesses. Instead of bashing Cornelius, I started to pray earnestly for him and I stayed on my face before the Lord. During the day-- if he tried to argue or there was an opportunity to nag-- I would just shut up. I would silently cry out to the Lord and I would go to the bathroom or my quiet time space. "Lord, you know what I've been praying and that conversation didn't line up with my prayers. So, God, give me the grace to love him. Give me the grace to understand him. Show me my ways Jesus. Help me to live for you in everyday." You may be screaming, but "WHAT about YOU Heather?! Why is it that WE always have to change." Well, honey-- somebody has to change. And because you're reading this-- maybe God is encouraging you to be the bigger person & exercise that love muscle? Satan is AFTER your godly relationships. He's AFTER your marriage & you're just letting him tap-dance on your life. STOP it. LOVE back & HARD. When you get married, you are CLOSE to another person. You see all of their weaknesses, flaws, problems, joys, strengths and struggles. So, what do you do when you're that close? Beat them up and criticize them, or do you get on your face on behalf of your spouse and cry out to God? Some of you are so mad at God because of your marriage that you don't even spend time with Him anymore. You have all together given up on your marriage and God. Sis, it's time to get back to the heart of worship. If you feel far away from God-- someone moved. James 4:8 "Come close to God, and God will come close to you. Wash your hands, you sinners; purify your hearts, for your loyalty is divided between God and the world." So, draw close to God. AND then, He will come close to you. Know that He is always, always, always there. But if He feels far away, you most likely pushed Him to that position while placing things over him. As you continue to read that same verse, it says that your loyalty is divided between God and that wedge is what is separating you from His sweet presence and wisdom. 1. But Heather, I married an unbeliever. What do I do? Now, this isn't an excuse to marry a unbeliever. If you're dating or engaged to someone you're unequally yoked with-- I encourage you to end that relationship. Don't make excuses that "you're going to save him" because you cannot save him sis. There's a chance that he may never get saved and that he will resent the God you love so much for the next 40 years. Back to the question-- I know it's hard, but "Win him over with your quiet & gentle spirit." based on 1 Peter 3:4. It won't be easy and it's easier SAID than done but if you want a great marriage, we must do what the bible says in regards to bringing peace to the home. 2. You don't know my husband. He's crazy! He refuses to meet my needs! I can totally understand how you feel. I have felt the same way before. My husbands love language is acts of service & my love language is touch. So, for a LONG time-- I felt like he was ignoring my love language as he ran around doing "acts of service." We have to remember that when we get married, it no longer becomes about "my needs." My best advice would be to stop focusing on what you think he needs to do and focus on Jesus. Yes, its that simple. I watched my marriage change when I stopped nagging my husband, having stinky attitudes, and complaining all the time. Ask the Lord to help you, He's not surprised by whats happening. 3. My husband is cheating on me. What do I do? 4. How long.. do I have to keep doing the right thing until he changes? Well, what is your motive for doing the right thing? For a cookie? I don't mean to be harsh sis, but if your motive is based on conditions, you've already lost the battle. We must do what we do out of real, unconditional love-- not out of a ".. he better respond this way or else" attitude. Although your words change, your demeanor may stay the same-- so he can sense your "funkiness." I'm always reminded of the grace Jesus gives me when I want to withhold grace from my husband. 5. Heather, why are you telling me everything I need to do and you aren't blaming this man! Well, your man isn't reading this, you are sis. Again, lets get the focus off of you & put it on Jesus. Have you given up hope that the Lord can fix your problem? Remember that nothing is impossible for Him. He can restore, heal and give life again. I love you all, I really do. I want nothing more than to see you joyful and fulfilling the will of God for your life and strife in your relationships could hinder that. If your hardened against your husband then you are also hardened against God. TRUST me that I am taking up my cross on a DAILY basis with my very STRONG personality-husband and praying for him to become more like Christ. You're not alone in this journey. 1. 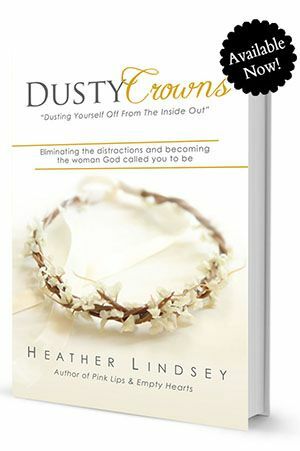 SO excited that I just released my NEWEST book, "Dusty Crowns!!" Find it here. 2. My hubby just released his newest book too!! It's called "Learning how to walk: Inspiring others to walk by faith!" You can find it here. 3. I opened up a Pinky Promise Boutique!!! Think fashionable, fabulous purity rings, cross bracelets, journals, statement necklaces & so much more for women! Check it out via www.pinkypromiseboutiques.com. Use code JESUS for 10% off! 5. If you live in Atlanta, I want to invite you to our church. Join us on Sundays at 11:00am at Landmark Art Cinemas. Our churches name is: "The Gathering Oasis" 931 Monroe Drive NE Atlanta, GA.
6. My book is selling like crazy! I'm so thankful for all of you that have supported! Check it out here: My New Book! 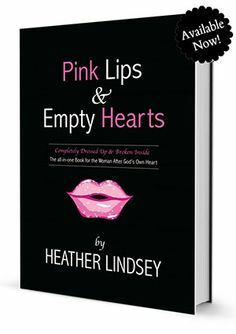 Pink Lips & Empty Hearts: www.PinkLipsAndEmptyHearts.com AND my new book, "A Perfect Recipe" here! Thank you...my heart, mind, and conscious were pricked the entired time I read this post. I am so convicted right now that even as I sit here at work I want to cry out to God for forgiveness for pushing Him away because I was mad at how things were going in my marriage. Your post shined a light on me so much and I have a new determination to do my part in my marriage and to daily make an effort to love my husband the way that God loves. Thank you so much for sharing this. God bless you. Thank you. This was an AMAZING message. I'm not married or even dating, but the part about unconditional love is convicting me as it relates to my brother and a falling out I've had with him. I'm praying on how to make things right. Thank you for this. I needed to read this and The Lord used you this morning. I have been asking God to teach me how to love my husband the way He does and it is as if this blog entry is my handbook. I am so grateful for your obedience sister! Thank you, thank you, thank you!!!! Thank you so much for this message. I have heard this message quite a few times this week in my devotionals and at church. I think it's time I wake up and listen to what God is trying to tell me. Relationships are so difficult and when things don't go as I thought they would I begin to panic and get very angry. I need to learn to be more patient, peaceful and God led in my words and actions. I've heard that when things "go left" it's God's way of preparing you for what you asked for. The Devil is strong but OUR SAVIOR IS WAY STRONGER! 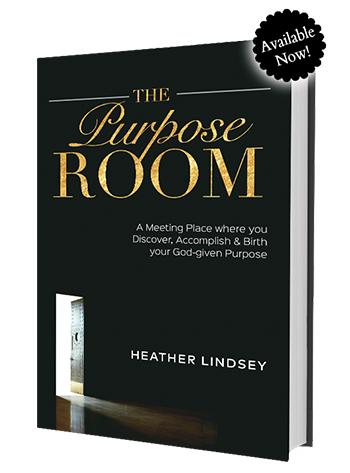 Thanks for sharing Heather and God Bless you for giving me the encouragement needed to work on my relationship. Great post with awesome reminders for those married. And I can't forget the tips for those desiring marriage. I literally just wrote a similar blog post about wanting a husband or wanting to be a wife. There is a difference. Thank you for your transparency! This was an amazing testimony. But, I'm seriously at a place in my marriage where I just don't believe we were meant to be. I've prayed, sacrificed, kept quiet, to the point that now all I have is resentment. I chose to look past his faults, chose to ignore signs, support him, and love him unconditionally. And all I've received is empty words, constant disappointment and worry. During one of our many fights, he said that he knows that if I wasn't saved, " I would have left him a long time ago." He's right... I'm in prayer morning and night for something to turn around either with me or him. I wasn't going to read this at all. I follow you on Instagram and i saw your post that lead to this blog. I dont know if you are going to actually read this, and I'm not one to put my business out there, especially on a public site, but I will say that my husband and I got married Feb. 2 2014 and SOOOOOOOOOOOOOO much has happened before and after that. It got to the point to where we both wanted a divorce as well, at the time, him way more than me. He ended up leaving the city while married to me and was gone for 2 months or so. We spoke between 1-3 times via email while he was gone, but it was mainly me asking for the address to send papers to. All in all, he just recently came back and we decided that we will try and work this out. I'm saying all of this to say, it's only been a month and things seem to be going well, however, his stay in another city is really something that he wants to do. I have my reservations about leaving my job, and also due to all the crap that has gone on. Where he was seemed to have changed him for the better. he wants to go back now, but we are in a place of reconciling and to move with not knowing exactly where we stand with each other is a factor. Nevertheless, thank you for this post. and hopefully you read this and maybe respond, cause otherwise this would have been a novel of me venting. Lol... I really am in a rock and a hard place with my decisions and have been in heavy prayer. So thank you for easing the process with your insite. I believe at some point, you have to make the decision that you want your marriage to work no matter what, and be willing to do whatever is necessary to make your marriage work. If you can make up in your mind that you want your marriage to work and that divorce is not an option for you, and you're willing to trust God to help you do your part and fix your marriage, you will probably have more peace in your decision to follow your husband. I understand that you may have trust issues because of what has happened between you and your husband, so it would help to put all of your trust in Jesus and ask him to heal what ever hurt and trust issues you may have toward your husband. Also, don't become discouraged if it seems like you're the only one sacrificing in your marriage, (for example sacrificing your job to follow him) or trying to do everything to make it work. Galatians 6:9 tells us to not be weary in well doing because we will reap if we don't faint, in other words, we'll reap the positive things we've done for others if we don't give up. I hope this helps!! Thank you so much for this blog post! I'm finding this to be true in my 2nd year of marriage - "...somebody has to change. And because you're reading this-- maybe God is encouraging you to be the bigger person & exercise that love muscle?" Our first year was a cake walk compared to this year - lol. Like you, we've dealt nothing remotely crazy (thank God) but having to be submissive and having to be the bigger person seemingly All the time can take a toll, if I let it. What helps me is remembering that as a wife (and as a Christian, in general), I'm doing everything "as unto the Lord." So, I shouldn't be keeping score - that's completely irrelevant. Instead, I try to be mindful to do everything out of God's unconditional love (as you noted). Most def. a timely word!!! Thanks for sharing & I pray your marriage/walk will continue to grow and be a blessing to many (as it is already)! Thank you so much for this! My husband and I went through VERY similar situations to yours, we have been married four years as well! This was sooooo helpful! God bless you and your ministry Heather! Thanks for sharing! If more ppl would be transparent so many marriages would be saved. Your words of encouragement teaches us accountability in our marriages. In order for two people [a man and a woman] to become one, their individual self must be given up daily to Jesus Christ. I can take that lesson away from your blog. I am so blessed by this Heather. You've written my hearts cry. God bless you more and more with wisdom strength and grace. This was for me. God bless you. My fiance lost his job and has but our wedding planning on hold and causing us to fight a lot, I almost ended my 3 year relationship last night but I have been praying and God landed your blog entry in my lap. Thank you so much for writing this it has helped me so much. This has extremely blessed me and is also an answer to prayer! God is sooo good!! Met a man who lied that he was married and hid it from me for 2 years,on our 3rd year of dating the wife swore at me via.I felt like God really hated me for putting me in that kind of fire.But he knows whats best for me. Thank you so much for those words. God bless you!!!!! My name is Sarah, a Kenyan currently studying in the University. I really enjoy reading your blogs and I really look up to you. I love God with all my heart. He is the source of all my joy and peace. However, I am in a situation that has really been pressing on my spirit and has really been a great obstacle in my life. The reason I am writing to you is because I really feel that you will be able to help me out. I know that you are very busy, but I would greatly appreciate it if you could spare some of your time to help me out. Kindly let me know when you get this. I have really been trying to contact you, but I guess this is the only way I found possible to do so. i thought i was the only one who was going through that. Thank you for the advise but for me its too late made my husband think it was a mistake that we were married bt nw i know it was not only did not know how to handle the situation. But after reading your article i have been changed to a better woman and wife. Thank you. Thank you for posting this article. It really did minister to me. However the part about reconciliation after infidelity is a really tough one. I have been married for 15months and during this time my husband has had over 6 affairs. You are right that it requires God to be able to forgive and also continue to have a quiet and gentle spirit while doing wifely duties around the home. But my question is? Is reconciliation always the answer? AIDS is a real and deadly disease and if a man or women keeps straying shouldn't the partner keep themselves safe by being away. Also a lot of women are being physically abused and they too are wondering if they should be married. The part about reconciliation is tricky because they could hang on and lose their life because of a beating this very night. Please may you address these issues or if you have any info on resources for women may you add that on. Sister, the bible says that the only reason for divorce is cheating. Heather is just encouraging people to forgive and if God leads you to reconciliation GLORY BE TO GOD! But if you feel that your husband has crossed the line tooooo many times, it's time to move on. In my church I have seen women forgiving and forgiving. giving 1,2,3,4...chances. But the men got use to her to be a forgiving wife and kept hitting the cheat button. Our pastor sat them and told: You have forgave this man to many times and he still cheating...if you decide to divorce, I support you. You see...God is going to put in your heart what decision to make. I must confess...This was such a harsh thing to read. I'm not married but I have parents & I'm going to have a boss soon. It hurts A LOT when you are serving and you don't receive the same but... read again my second paragraph. What I'm being practicing is to think that everything I do is for the Lord and no one else. I needed this. I've been married for almost 9 (together for 13) years and just last weekend I wanted to throw in the towel. We are both in our early 30s and are really trying to have a great marriage but there are some things from the past that still interfere with our union. We both belong to different churches but I do not feel comfortable sharing my home issues with anyone. Thank you for sharing. God has used you to speak to me and for that I am thankful. God bless! Your transparency will win so many souls for Christ. I recognize the that I have moved away from God. I fear allowing myself to trust anyone again because I've been hurt by my husband and during the midst of that pain God allowed me to move into my passion and then took it away. My husband and I have struggled this last year of our ten year marriage. I met someone who I had inappropriate relations with and now I can get him out of my spirit. I honestly feel as if I'm in love with this man. I'm miserable, scared, and full of doubt about everything and everyone and God. I used to serve faithfully but now I barely attend service. Please help me. I'm not sure my reply got through, so I'll repost as a comment. Well, I think I can understand your situation a little bit 'cos I requested a relationship from a godly woman recently and I think I may have put her in your kind of situation too. I was beginning to think she was only willfully ignoring God's voice, which has been so clear to me. Laugh. She has a similar story to yours (well-educated(a doc), NBSB I believe, doesn't want to hurt anyone, seeking God's perfect plan for her). For 8 years, I kept quiet due to shyness and fear of being rejected. I am beginning to understand the tough choices christian women have to make when these issues come up. God is not an author of confusion(read 1st Corinthians 14) and he will show you the right path to take. Making the right choice of a mate will help you to fully fulfill God's purpose for your life and it is perfectly normal for you to desire the right partner for your journey. Go to the place of prayer and seek His face. When God answers you, you have to make the tough choice of breaking the news to one of them. Sincerely, you will hurt some people if you want to fulfill God's purpose for your life. I personally have had to ignore many possible relationships because of God's leading. I suffered the times I disobeyed and ventured out of God's will. I think that God brought me to this page just to answer your question. I wish you the very best as you make the decision to follow his perfect will. Truly enjoyed this wisdom. Bless you. Completely mortified members because of this...lol and I'm a single woman, but I know so many of the things you shared are/were in my heart (I repented). Thank you for your transparency. Some people only want you to smell the roses, but even roses come with thorns. What if you are not yet married and he is driving you nuts? Second Time reading this blog and it hit home this time. Very similar story with a few exceptions--we've kissed, just not french kissed and we are abstaining until marriage. We are currently engaged and marrying next September. Thanks for sharing and may the Holy Spirit continue to minister to your spirit as you minister to many other young women. I am a 33 year old female married for 10 years with 2 children .Currently The devil hasn't stop interfering in my marriage and I believe that he will never stop .I do know that perseverance is needed in order to make a success of anything ,But it is hard . Both my husband and I are at fault ,but it seems like I am the only one who is willing to sacrifice .My husband is currently unemployed for 4 years now, He has turned to all the wrong thing to "provide " and in the process of that he has plenty of time to cheat as well .We live in a small community were everybody knows everybody and that does not stop him from cheating over and over ,and the women he is cheating with is young ladies that know me .Still that does not stop them from looking at me as if I'm at fault, Everybody is waiting and looking at me asking when are you going to divorce him? Trust is out the door a long time ago and I am so afraid to give him his free time with his so called friends because I know their life style and his patterns .PS This man is not even half the man I married . How am i to end the relationship with my partner who is an unbeliever? I thought my prayers could save him. We have really become very close over the year and i really find it very difficult for a break up..
Can i continue to pray for him? What am i to do? please help..
Hello, I'm really hoping to get an answer! I'm a believer, I've had my ups and downs in my walk with God, and I still have a long road ahead of me in this journey. I started dating someone 2 years ago, and he told me before we started that his parents are of another religion, but he's Christian. I would say I wasn't at my strongest spiritually then, if not that should have been enough for me to not date him. During the 1st year, I was the worst example ever as a Christian, then towards the end of the 1st year, he followed me to church and gave his life to Christ, I was elated, now it's been 2 years, and I'm thinking now is the time to make some serious decisions (to move forward or not), there hasn't been any notable improvement in his Christian walk, also I tend to do slip & back slide most times on his account. Part of me strongly feels like I should just end it and focus on building my faith (which I really need) the other part feels I should work on my faith now, and unless he stands to oppose anything required for me to do this, I should stay with him and try to help him grow even as I do. The only problem I have with him is his Spirituality! But it has always been my desire and belief, that a man is supposed to lead his wife in spiritual affairs also, as he is the head of the family. Please can I get some scriptures on this, and some advice. As soon as is possible, I can be spontaneous sometimes, I don't want to do anything rash that I will feel some regret over. Thank you! !